Saudi King Salman bin 'Abd al-'Aziz Al Sa'ud has appointed one of his sons, Prince Khalid, to be the kingdom's new ambassador to the United States. While on the surface, it appears to be a simple case of a monarch placing a son in a key leadership position, in the Saudi ruling family hierarchy, it is a clever power play. Over the past two years, a group inside the ruling House of Sa'ud has reasserted its power and influence. This group is the so-called al-Sudayri Seven, a moniker derived from the name of the tribe of the mother of seven of the sons of the kingdom's founder 'Abd al-'Aziz Al Sa'ud. King 'Abd al-'Aziz's third wife was Hussah bint Ahmed al-Sudayri. All seven of her sons rose to influential positions in the kingdom, including two who became king (Fahd and Salman). The succession issue in Saudi Arabia has always been a concern. Kings have been succeeded by their younger brothers, all sons of 'Abd al-'Aziz. There was no provision for the succession beyond the first generation, the sons of 'Abd al-'Aziz. The issue was finally addressed - but by no means settled, two years ago when King Salman removed his half-brother Prince Muqrin (up until then the crown prince) from the succession line and replaced him with his full nephew Muhammad bin Nayif bin 'Abd al-'Aziz. For the first time since the foundation of the kingdom, a king will be of the second generation of 'Abd al-'Aziz, a grandson of the founder. For the Saudi-watchers among us, this was huge. I wrote a detailed piece on this in April of 2015 - see Saudi Arabia - the resurgence of the al-Sudayri clan for the whole story. What does this have to do with the appointment of the new ambassador? I know it can be confusing, so I have condensed the earlier article here. Upon the death of his half-brother King 'Abdullah, Crown Prince Salman bin 'Abd al-'Aziz Al Sa'ud became the king with no controversy - the Saudi succession has been remarkably smooth for decades. As expected, Salman named his younger brother Muqrin (one of the few surviving sons of the kingdom's founder) as the new crown prince. However, the new king surprised many "Saudi watchers" by removing King 'Abdullah's son Muta'ib from the recently created position of deputy crown prince and naming his full nephew Muhammad bin Nayif, the Minister of the Interior to fill the position. Muhammad bin Nayif is the son of Salman's full brother Nayif - thus also one of the al-Sudayri Seven brothers. 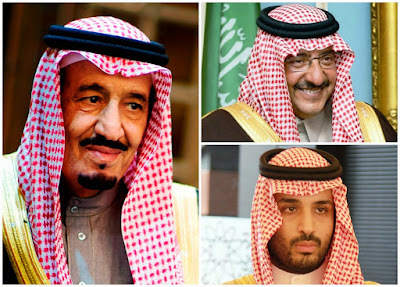 In April 2015, King Salman removed his half-brother Muqrin as crown prince and elevated Deputy Crown Prince Muhammad bin Nayif to the position of crown prince, in essence personally selecting (rather than via a family meeting) the new king from the grandsons of 'Abd al-'Aziz. It will also maintain the superior position of the al-Sudayri clan. The king also named as new deputy crown prince his son Muhammad bin Salman, who also serves as the powerful Minister of Defense and Aviation. 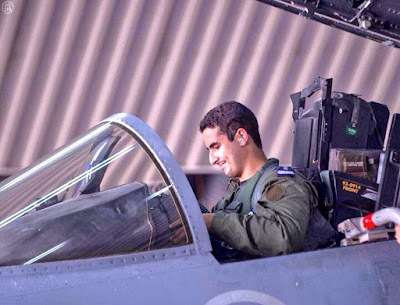 - The king's son Muhammad bin Salman is now deputy crown prince as well as the Minister of Defense and Aviation, controlling the armed forces and anything that flies, military or civilian - that same son is concurrently the secretary general of the royal court. These three men, all al-Sudayris, in essence run the kingdom. The royal family has always run the kingdom, but now most of the power has been concentrated into one small faction of the royal family - the descendants of 'Abd al-'Aziz and his favorite wife Hassah bint Ahmad al-Sudayri. Now add to the above list the position of ambassador to the United States. This is a key position in the Saudi government, charged with what is arguably the most important foreign relationship for the kingdom. The Saudi ambassador enjoys excellent access to the President of the United States in Washington and has the ear of the King in Riyadh. The new ambassador, Prince Khalid bin Salman, is the son of the king, first cousin of the crown prince, and brother of the deputy crown prince. Another key power position in the Saudi government is now filled by an al-Sudayri. The al-Sudayris continue to maintain and expand their power base in the ruling family and by extension the entire kingdom. As I said in 2015 - and reiterate now: well played, Your Highness, well played.